At Monmouth Pain & Rehabilitation in Shrewsbury, Freehold, Wall, & Lacey NJ, our professionals expertly treat the symptoms of Restless Legs Syndrome provide real relief to the community we serve. Our entire staff works together to provide every possible option for pain management and rehabilitation. Our approach revolves around the idea of helping patients avoid unnecessary surgeries and medication, therefore reducing further damage and stress on the body. If you are looking for real relief from Restless Legs Syndrome and live in Monmouth or Ocean County contact Monmouth Pain & Rehabilitation today! Our professionals fully understand the lifestyle changes necessary to eliminate the symptoms of Restless Legs Syndrome. 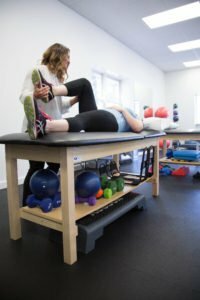 Additionally, our comprehensive physical therapy program supplements the use of Power Plate Vibrational Therapy to stimulate the feet and toes, and Cold Laser Therapy to improve circulation, promote cellular growth and protein synthesis, and reduce the pain and symptoms associated with Restless Legs Syndrome. Contact Monmouth Pain & Rehabilitation and schedule your free consultation at our Shrewsbury, Freehold, Wall, or Lacey office and take a proactive approach to finding real long-term relief. We look forward to helping with all your rehabilitation, physical therapy, and chiropractic needs. Please feel free to contact us directly by calling (732) 345-1377 or by emailing us using the Contact Form below. Please note that a referral is not necessary for your first visit.